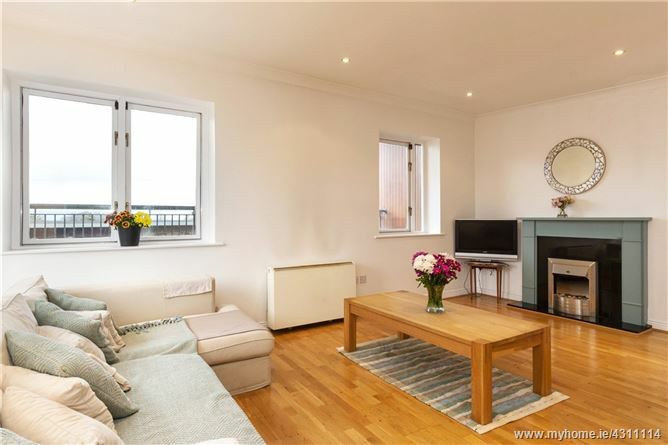 Sherry Fitzgerald is delighted to present 28 Grange House to the market. 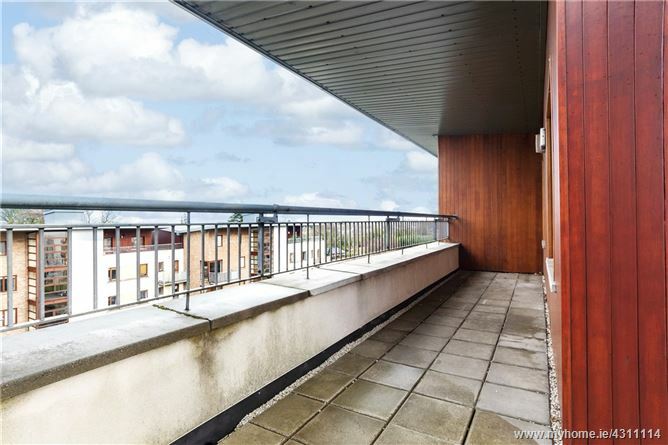 This superb 3 bedroom penthouse apartment in an exclusive development comes to the market in excellent condition. 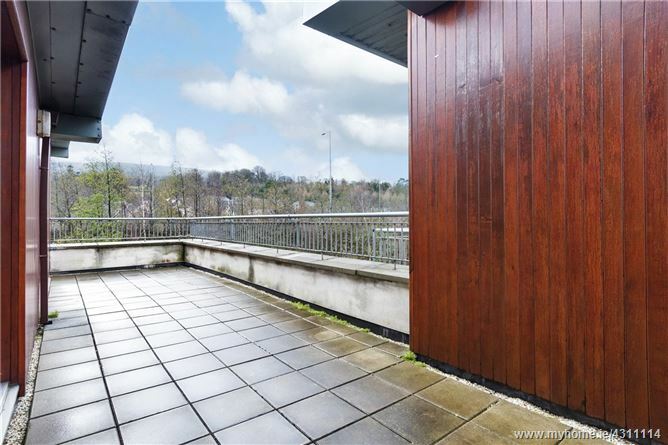 Located at the foot of the Dublin mountains, this triple aspect apartment provides idyllic views of the surrounding area. 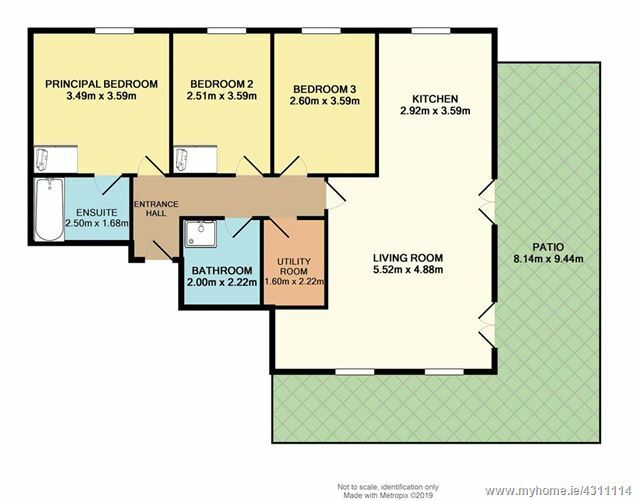 The main living area comprises of an open plan living room and kitchen. 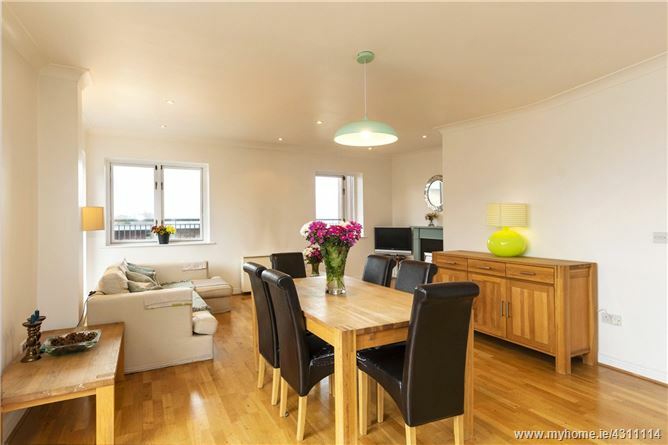 Its triple aspect includes both south and westerly facing windows and takes advantage of an abundance of natural light. Separate from the living room, a utility room provides useful space to allow for a neat yet functional home. 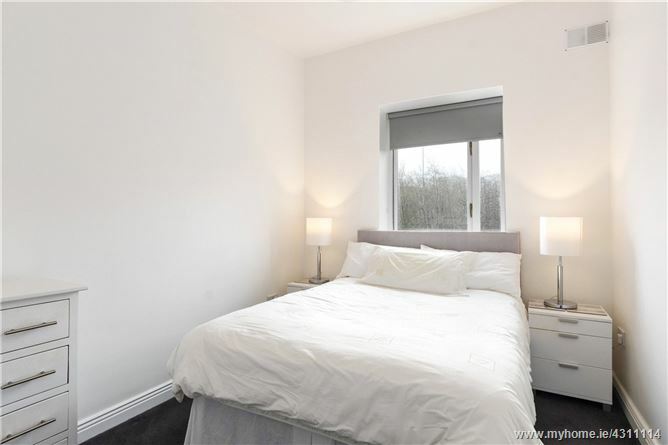 The property boasts three well-appointed bedrooms (one with a generous en suite), as well as a main bathroom. 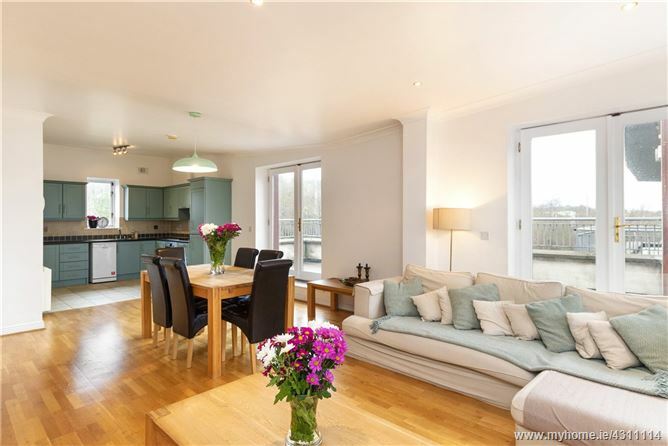 Private parking and gardens finish off the appealing setting, and the location is second to none. 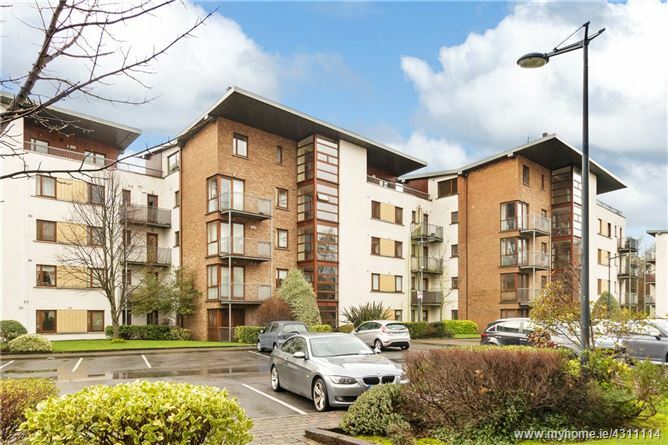 Marley park, Dundrum town centre, M50 access, as well as an abundance of schools and shops are all a short distance away. Viewing comes very highly recommended. Living Room Open plan, triple aspect living room and kitchen. The living room area features recessed lighting, timber floor, electric fire insert and 2 sets of French doors leading to the rooftop patio. 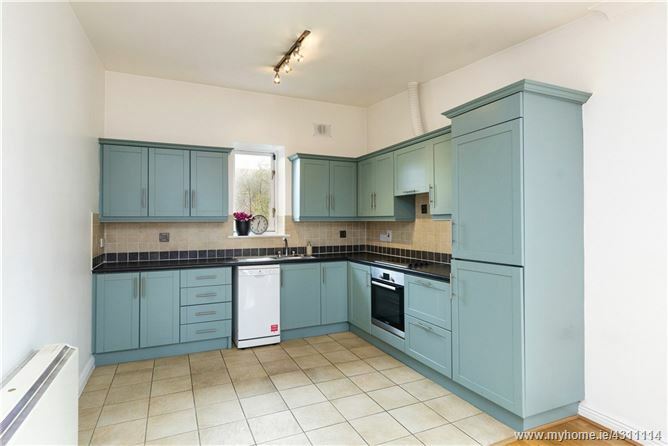 Kitchen Tiled floor, floor & eye level units, subway tiled backsplash, integrated fridge freezer, plumbed for dishwasher, integrated electric oven & hob and extractor fan. Utility Room Plumbed for washing machine, additional shelving. 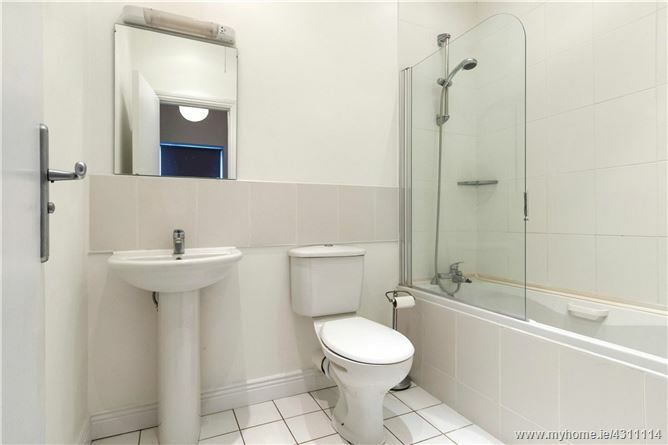 Bathroom Tiled floor & partially tiled wall, recessed lighting, shower enclosure, wc, whb, extractor fan. 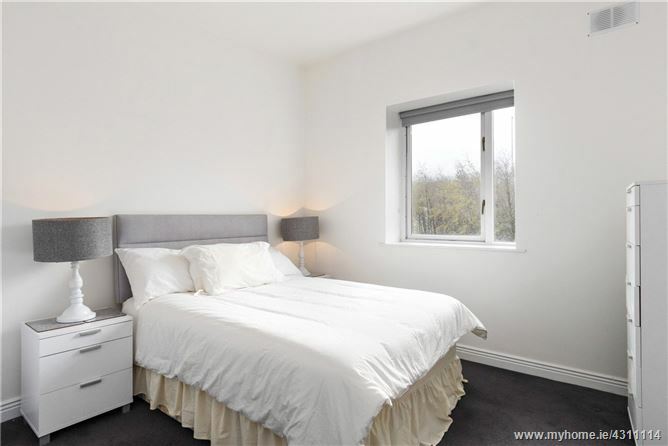 Principal Bedroom Double bedroom with carpet floor, built-in wardrobes and ensuite. 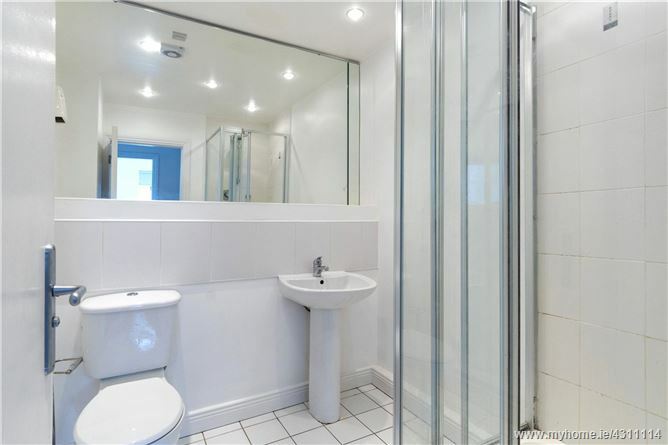 Ensuite Tiled throughout, bath suite with shower insert, extractor fan, wc, whb. Bedroom 2 Double bedroom with built-in wardrobes and carpet floor. Bedroom 3 Double bedroom with carpet floor and built-in wardrobes. If travelling by the M50, exit at junction 13. Proceed down the off ramp and take the first exit at the roundabout. Proceed for approx. 1.5km and take the left turn at the junction at Ballinteer St. Johns GAA. Proceed directly ahead, passing through the first junction, and the gates to Grange House are located shortly after on the right hand side.